Not all heroes go to heaven.Terrence Mack was born poor, grew up tough, and died hard. Waking up in a sea cave with nothing but the clothes on his back and a new bullet scar was enough to convince him that wherever his death had brought him, it wasn't paradise.His new world quickly proves to be a place of danger, magic, monsters, and - for Terry at least - women.Known on Celestine as a template, Terry's genes are key to the survival of the eldritch races. But the fiercely competitive eldritch don't typically leave their lovers alive long, and aren't accustomed to taking 'no' for an answer.The average life expectancy of a template on Celestine? Three days.A city boy with no survival skills to speak of, Terry sets out in a desperate bid to gather allies. 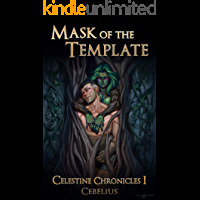 With the help of a lonely dryad, a mixed-up minotress, and a misguided party of dungeon delvers, he must be brave, cunning, and good with the ladies to have any hope of living through the month.All the while an ancient evil bent on the destruction of Celestine exists in the north, and templates are the key to its southern expansion ...Warning: This book does not pan to waving curtains and fade to black. Those uninterested or under the age of eighteen are strongly warned of explicit content. A man is only as good as his word ...Celestine is a vast world, filled with mysteries and peopled by creatures most men consider nothing but flights of fancy.Terrence Mack knows better. Free of Florence at last, he wants nothing more than to make good on a promise. Yuri Kolenko journeyed across the world on a quest to be made chieftain and end the abuses of an evil shaman. Terry has sworn to see it done.Yet pursued by furies, a dragon, even the Dust Lord himself, the template and his companions are compelled to challenge the Sphinx and enter the Labyrinth. 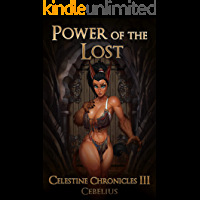 There they must make their way to the center, challenge an ancient, fallen hero, and bargain with a woman twice-scorned, called with good reason the Power of the Lost ...Warning: This book does not pan to waving curtains and fade to black. Those uninterested or under the age of eighteen are strongly warned of explicit content.